I keep this page to remind me what I like when I’m at Busch’s shopping. I don’t keep track of years figuring it’s a lot of work to track and I’ll give the benefit of the doubt to wines I’ve liked. I also only rarely remember to update so this is maybe 1/3 of the ones I’ve actually liked. Artesa Merlot: I finally found someplace that sold this- Joe’s Produce in Livonia. This was my favorite from wine club a couple years ago. It is a smooth finishing merlot with a lot of tanmins evident on a first sip. It cost $18 at Joe’s produce. 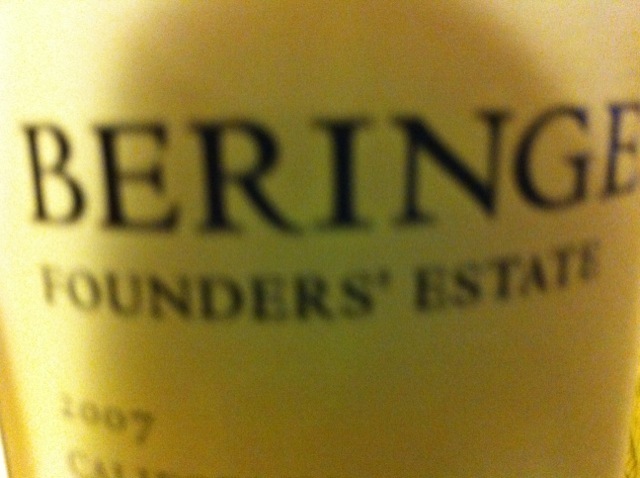 Beringer Founder’s Estate Cabernet: This was a smooth cabernet. I was a little afraid to try Beringer as I thought it was mostly built on advertising a couple decades ago. I liked this wine, however. Bodega Del Desetio Merlot (Argentina) A little bitter and smoky. I liked it, but noted my experience with the family tells me it is not a good holiday wine. 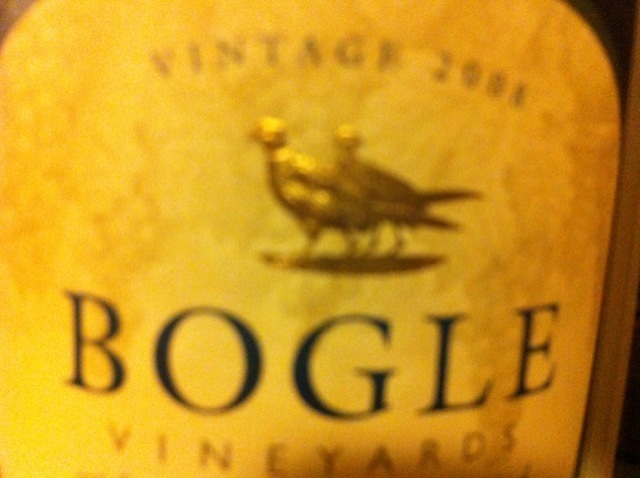 Bogle Merlot: This was very fruity. I liked it better than most very fruity wines, however. (I liked it better than many Lindemans wines I’ve tried.) It is worth it for under $10. Bridlewood Syrah: This was very full and mellow. Tannins linger. I thought it was on par with St. Francis Zinf. I’m not sure of the price since it was a wine club selection. Catena Malbec: This was my favorite from a wine tasting in Jamaica. I did not mae tasting notes, but remember asking if we could finish the bottle. 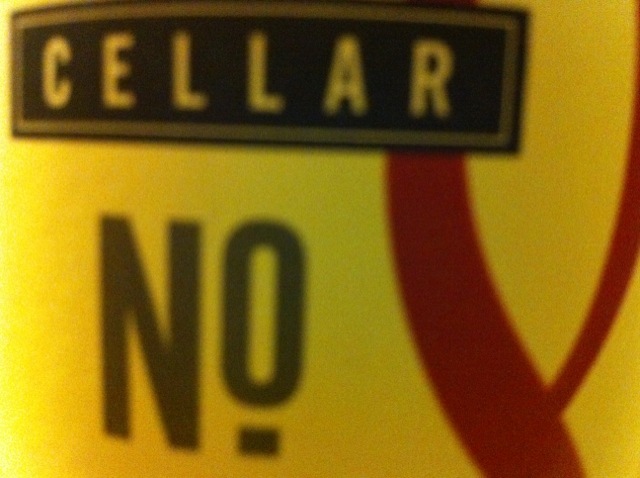 Cellar No. 8 Cabernet: When slightly chilled this had a very big plum finish. I would get it again when on sale. Coppola Syrah: I resisted trying Coppola wine thinking it might be over-hyped on his name. This was on sale for $12 so I gave it a try. Excellent body, smooth finish, fruity taste ( a little chalky on the first sip). I’d buy it again when it is $12 and might try the other Coppolas. Columbia Crest Horse Heaven Hills Merlot: This tastes like plum and has lots of tannins. I’d buy it again if it were $7.99 again. Dancing Bull Savignon Blanc: This is not dry. It has the characteristic sour taste of white wines. It has a slight aftertaste of grapefruit. It was a decent white. Desert Wind Ruah: This is an earthy wine. It is smooth and has good body. The wine club has its usual mark up on this, but the internet says you should be able to find it for $15-$18 per bottle. Glenn Ellen Proprietor’s Reserve Merlot: This is a sweet red. I normally don’t like sweet reds. I like this. High Note Malbec: Sour and a bit chalky. It had good body. I liked it overall. Melanto Terrace Zinfandel: This has the good body you would expect of a Zinfandel. The tannins really popped on the first sip. I like wines like this, but the strong tannins are not for everyone. I’d only get this at under $10. New Age (Argentina) mutt white: Almost embarrassing to like- melony with a hint of grapefruit. A very easy to drink wine. Oelet Savignon Blanc: This is not dry. It has the characteristic sour taste of white wines. It definitely is not for me. Piatelli Reserve Malbec: Hmmm. I must have tried this in early March 2019. I liked it enough to put a note in my notebook, but cannot remember anything except that it was worth writing down. I think it was at happy hour at an Andiamo’s restaurant where I tried it. Rancho Zabaco Dancing Bull Zinfandel: The quality depends on the year (or maybe my mood). Sometimes this is on sale for under $10. Raza Malbec: This was sour, almost like a white wine, but the wine’s body more than made up for it. I’d definitely try it again. Red Truck: I see this mutt red wine everywhere. Busch’s had it on sale so I gave it a try. It has fewer tannins than I usually like. It is a pretty smooth, fruity wine that I think would be popular on holidays given the preference of my family for fruitier reds. (Francis Ford Coppola Presents) Rosso: This mutt red was on on sale for for $8 so I gave it a try. The wine has a rich body and a plummy taste. The first glass had almost an ascerbic finish. I did drink it at room temperature thought. After being chilled by a few degrees the finish was OK.
St Francis Merlot: This is a good wine. It is nowhere near as good a merlot as St. Francis Zinfandel is a good zinfandel. Santa Martina Tosca Rosso: This was one of the red selections at Buddy’s pizza. Full bodied, not as spicy as advertised, but on sale it is $9.99! Scott Harvey Zinfandel: This was not as full bodied as I like, but overall a good wine. It was $17 at the Wine Store. Smoking Loon Merlot: Smoky with lots of tannins. It’s not for everyone, but since I can sometimes get it for $7 or $8 a bottle I keep some on hand for me. Stallion Cellars Meritage Mutt Red: From the name I’m a little embarassed I like this. I don’t even remember where or when I got it. It is a little sour, it has noticeable, but not overwhelming tannins. It has a great body. If it’s cheap I’d buy it agian. Terra Andina Scandalous Carmenere: There are supposed to be accents on the word Carmenere. Evidently this is a variety of grapes thought to be extinct and found growing in Argentina mis-classified as a more common varietal. The first sip tasted spicy and sweet. Subsequent sips had a bit of a chalky aftertaste, ut I didn’t find it unpleasant. To me this tastes like a mellower version of Smoking Loon Merlot. Although I got this at the wine club, the street price appears to be $9.99 so this would be an OK wine to buy from time to time. It is not going to be a favorite, however. 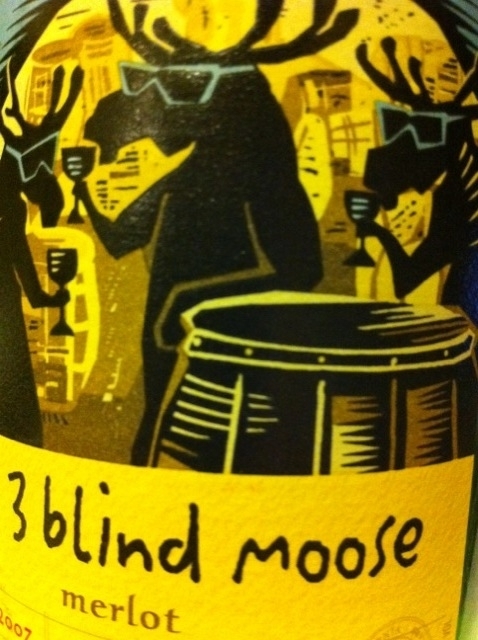 Three Blind Moose: This was fruity with good body. It has less tannins than I usually like. It wasn’t exciting, but I think it is a safe wine for company, or when you don’t recognize other wines on a wine list. Trinchero Family Winery Cabernet: Strange, but good. It finished like a white. Vina Robles Roseum: Rose colored, fruity and dry. This was good for a white wine. Vitiano Cabernet/Sangiovese/Merlot: This wine reminded me of the Trinchero Cabernet. It had a lighter body and a sour finish. At under $10 per bottle it is worth the price. XYZin: I tried this at an Italian restaurant in San Diego (Bencotto). It was a decnt, full-bodied Zin. I mush prefer St. Francis to this, but would buy a bottle of this if the street price were right.